Whew. That was an exhausting week. Where is the reset button? I am moving on. And that means going back in time. To the 1960s. Back when things were good. No conflicts then, right? Everyone got along. I think. Maybe. I can’t remember because I wasn’t born yet. 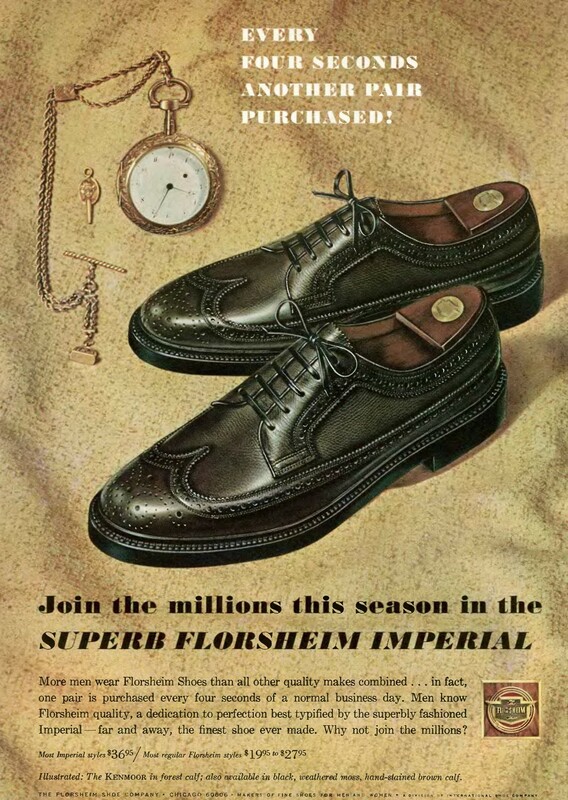 Florsheim decided to enrich this utopian decade with a forest green version of their popular Imperial Kenmoor long wing. Below is an advertisement from 1966 when the shoe was introduced. 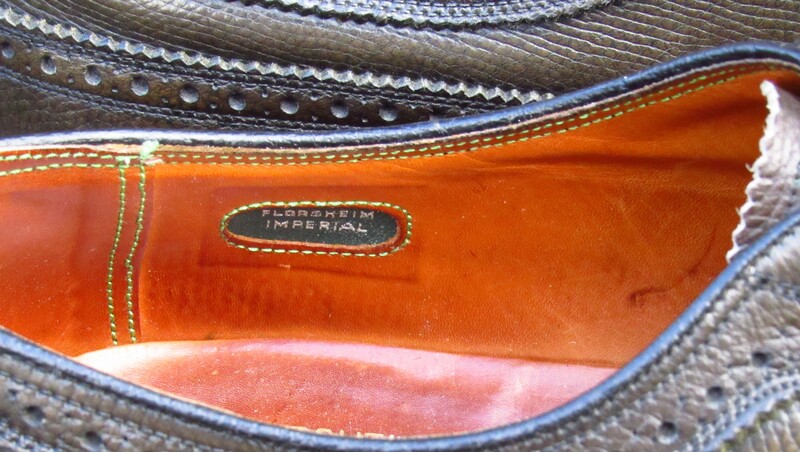 This is a very rare Florsheim model. I have been tracking vintage shoe sales on eBay for the past few years. 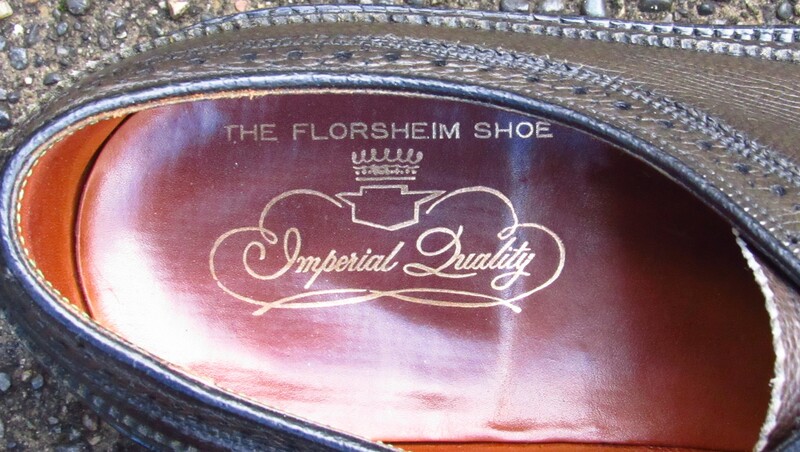 In that time, there have been thousands of Florsheim Imperial brown (93602) and black (92604) models. 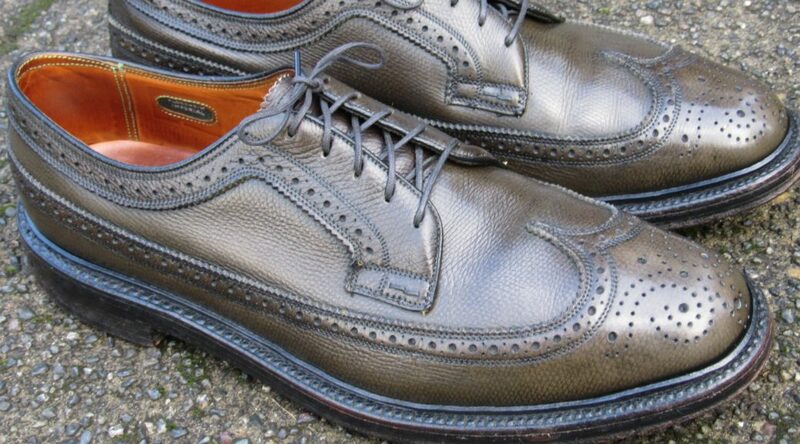 There have been just four pairs of forest green Kenmoors for sale in that same time period. 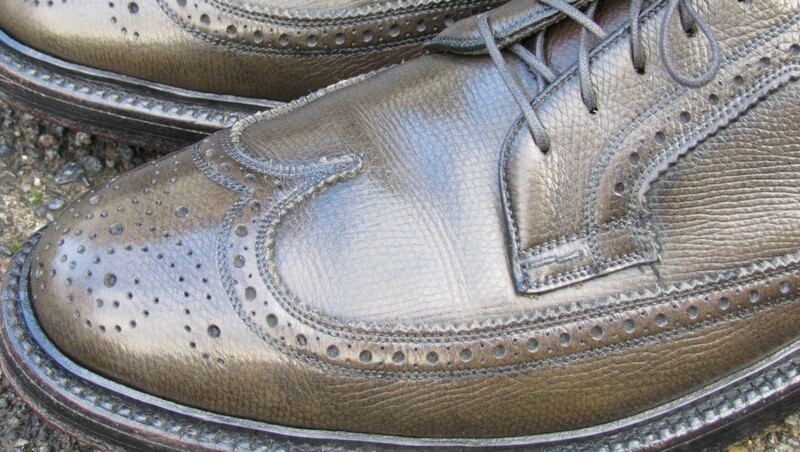 So I can’t imagine Florsheim sold many of these shoes. Probably more than four pairs were originally sold but that is, of course, unverified. Other than the color, this model is just like any other 1960s Kenmoor. 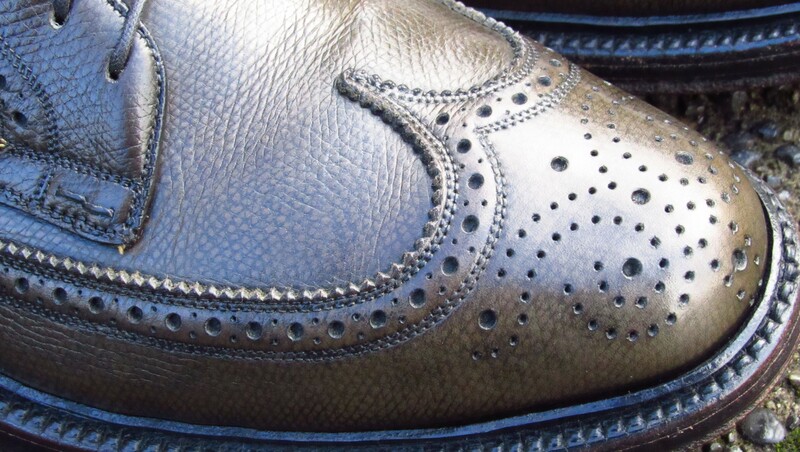 The shoe has full leather lining, double leather sole and leather heel with v-cleat. 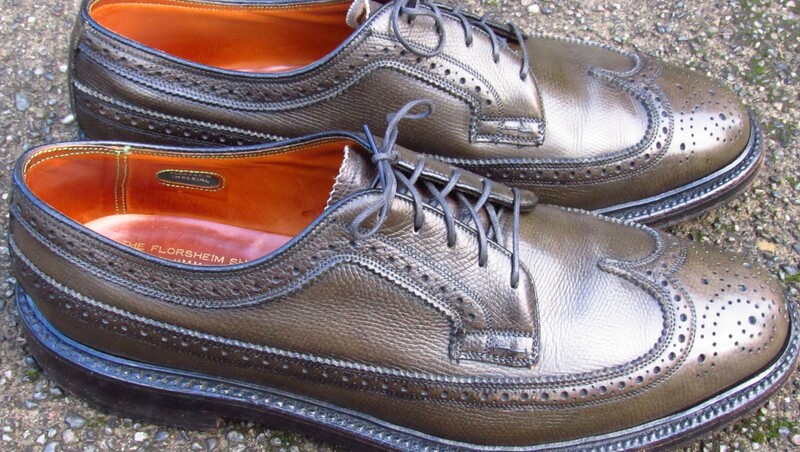 I believe Florsheim just made this model for a couple of years. 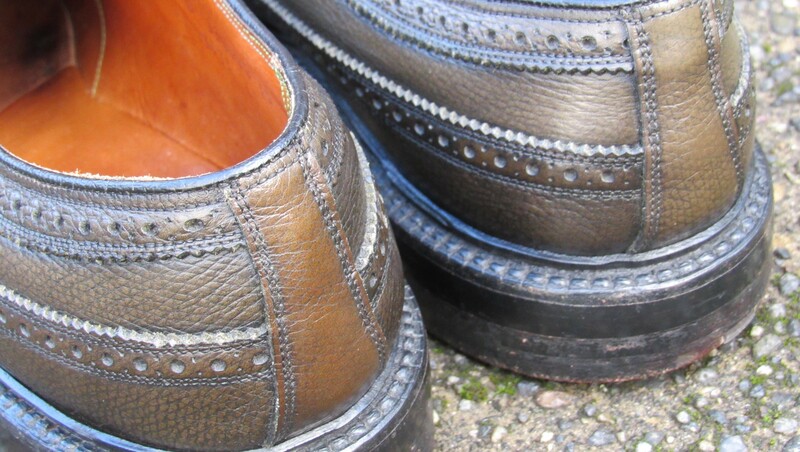 Green is an unusual color for a vintage shoe or even a modern dress shoe. Its a very casual shoe and a great fall color. I polled the staff here at vcleat.com and the responses I got were “cool” and “hmm”. Okay, fifty percent positive. I will give the pair a thumbs up as well. We have a winner. No need for the electoral college. Below are a few more photos. I told you already on IG, I like that color! Thanks for your blog. I always look forward to your next post. I was beginning to worry about the paucity of your postings. After all you haven’t posted since mid November and as a vintage shoe addict this means my supply has just been shut off! Then I realized that as you are the North Western lobbyist for universal vintage shoe care you would be busy with the new administration, helping to smooth transition into the already existing Obama-care system for footwear access in the Coastal Region. Good Luck with that and compliments of the season. I was just working on a new post. Trump hasn’t called me yet. I am sure he will. Maybe I should send him a tweet. David– what cream do you use on these? I used a neutral cream on them. Meltonian Taupe probably would be a good choice too. My Imperial style number is 666094. 10.5D in pebbled tan. Date code is CE. V-cleat is indented and not flush. Must be 1974, 1984 or 1994. Any other way to tell? 666094 is the order number. Is there a 5 digit model code? Interesting…I’ve just purchased a pair of 93663’s, through eBay. They were sold as black in color. After refering to this site, it appears to be, that mine were built in 1967. Also, after pulling back the tongue, I could definatly see where some one did a very professional color change, from the green, to black! I do wonder, if there’s any possibility of restoring the original green??? Yes, they are from 67. It would be easier to take a brown 93602 pair and turn it green then to strip the black dye.